TFRN is led by Denmark. The Co-Chairs are Mark Sutton (United Kingdom), Tommy Dalgaard (Denmark) and Claudia Marques-dos-Santos Cordovil (Portugal). The Task Force holds plenary meetings at least once a year, see below for details on the past and future TFRN meetings. Several Expert Panels have been set up by the TFRN, the Expert Panel on Mitigation of Agricultural Nitrogen (EPMAN) the Expert Panel on Nitrogen Budgets (EPNB), the Expert Panel on Nitrogen and Food (EPNF) and the Expert Panel on Nitrogen in countries of Eastern Europe Central Caucasus and Asia (EPN-EECCA). These panels can meet more often than the TFRN, work on specific issues and provide input to TFRN. This event took place on the premises of North-West Research Institute of Agricultural Engineering and Electrification (SZNIIMESH) of the Russian Academy of Agricultural Sciences. The forum is designed as un umbrella for three events: 8th International Scientific and Practical Conference “Ecology and Farming technologies: agro-engineering approaches”, 3-rd International conference of Nordic countries “Field Research for Sustainable Development of Rural Areas” and Round Table Discussion “Mitigation of Adverse Environmental Effect of Reactive Nitrogen in Farming”. TFRN-8 was held jointly with a meeting of the Task Force on Integrated Assessment Modelling (TFIAM) and a workshop on Green Growth. The main TFRN meeting was held on the 25th-26th April (lunchtime - lunchtime) in Copenhagen. Please visit here for more information and to access the presentations. The 'Workshop on global nitrogen scenarios in the 21st century', took place on the 11th-12th October 2012 at IIASA/Laxenburg. 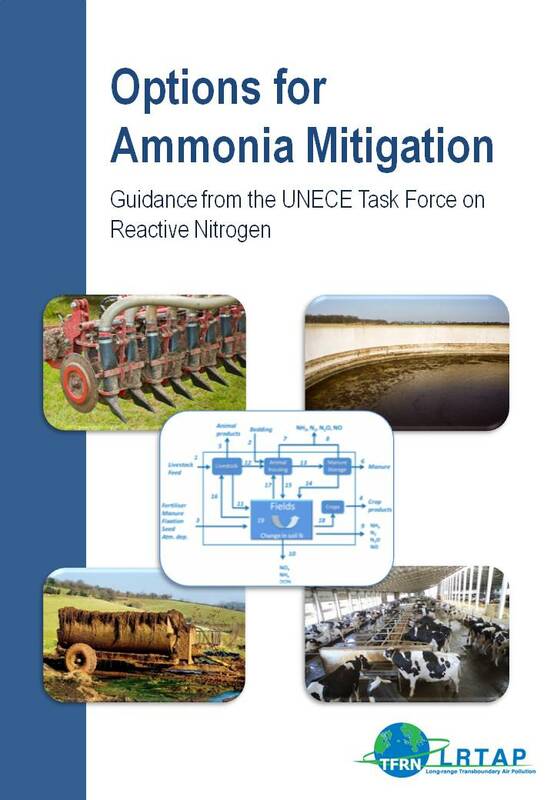 The European Nitrogen Assessment (in short ENA) was launched at the Nitrogen & Global Change event in Edinburgh on the 11th April, 2011.